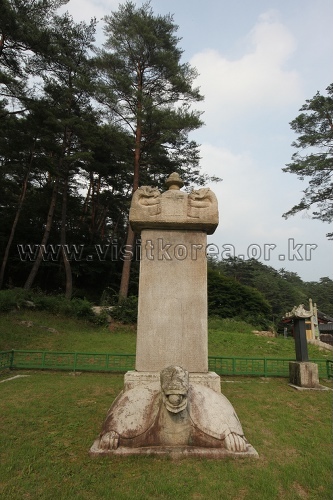 Beopheungsa, which was then known as Heungnyeongsa, was created by Jajangyulsa in 647 under the rein of King Jindeok of Silla to enshrine Jinsinsari of Buddha. 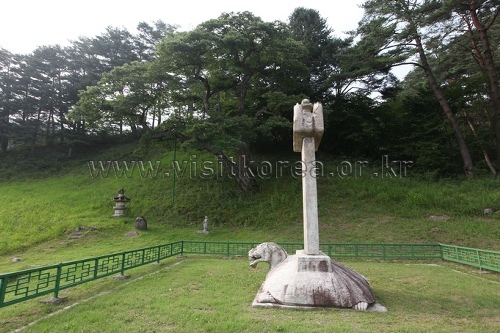 At the time, Preceptor Jinghyo earned 100 Jinsinsari of Munsubosal and enshrined them at Yangsan Tongdosa Temple, Odaesan Sangwonsa Temple, Seoraksan Bongjeongam, Jeongseon Jeongamsa Temple and Beopheungsa Temple while establishing Jeongmyeolbogung, Hall of Buddha, at each of the places. 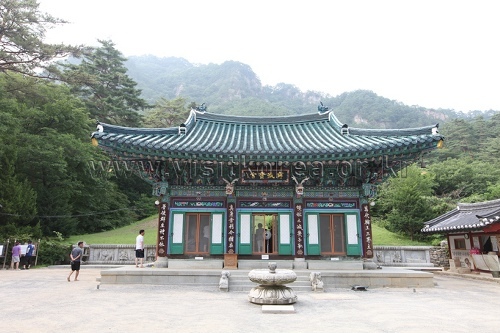 Beopheungsa Temple is one of the five Jeongmyeolbogung. 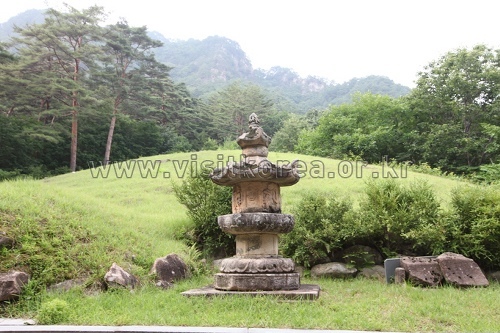 Preceptor Jinghyo had Jinsinsari of Buddha in the mountain right behind the Jeongmyeolbogung of the temple. 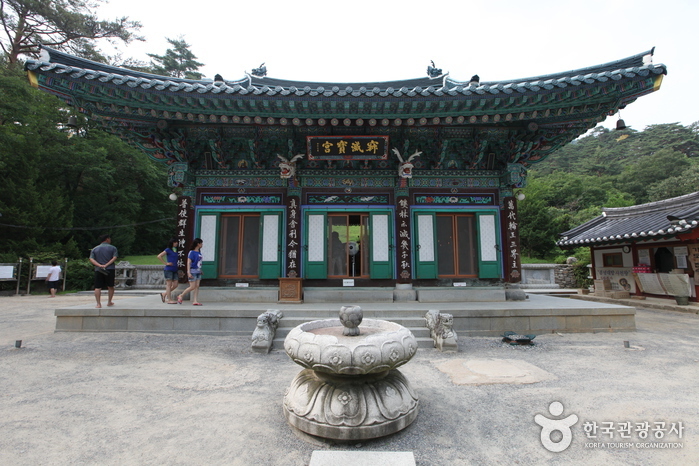 Inside the Jeongmyeolbogung there is no statue of Buddha and only a wide open window. 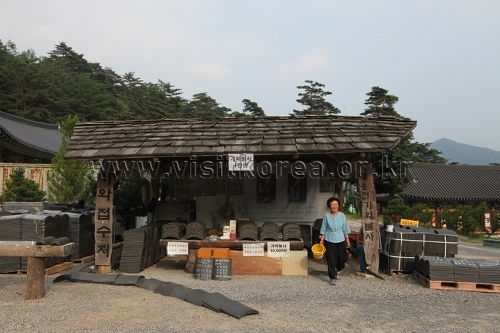 This is because they believe the mountain as a whole with the enshrined Jinsinsari is the Buddha himself. 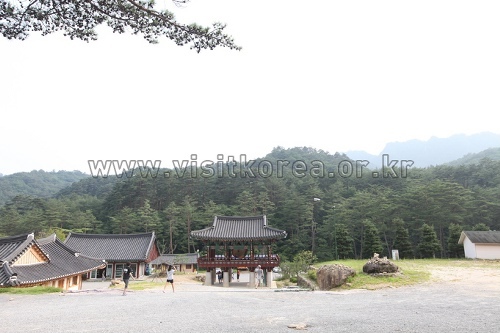 Beopheungsa was once a large temple where over 2,000 monks gathered. 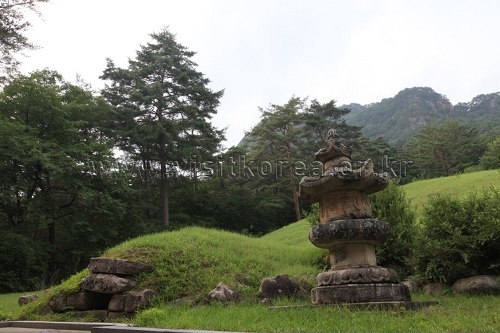 Today, most of the temple buildings were lost to a number of fires leaving only a few buildings including Jeongmyeolbogung, simujang, yosachae, and Preceptor Jinghyo Bointapbi and a cave where Jajangyulsa meditated. 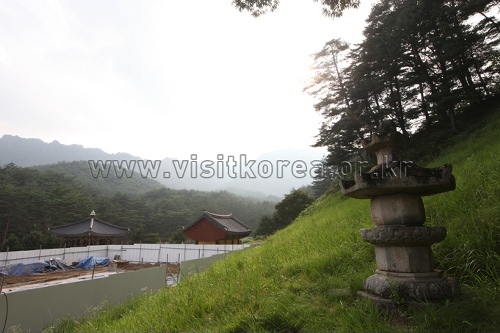 The pine wood path from Beopheungsa Temple to Jeongmyeolbogung is one of the most picturesque sites in the nation. 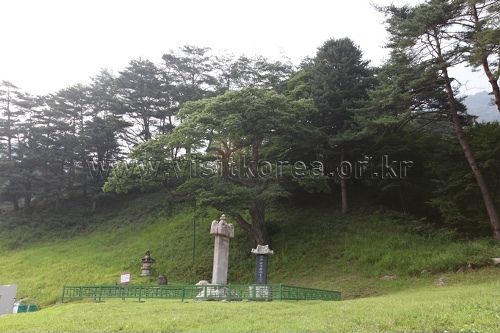 The location was originally named Sajasansa but later changed to Sajasan Jeongmyeolbogung in 1939. 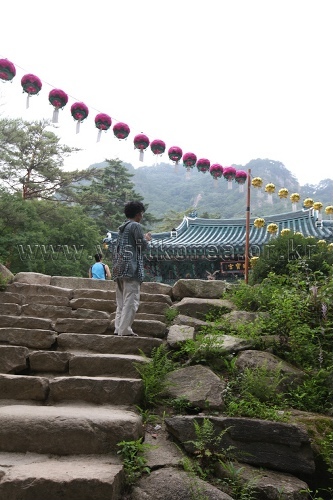 In addition to the path, the nine peaks (Gubongdae) lined up one after another forms another charming view.